Built-in forms_ddl is used to execute DDL commands using forms. 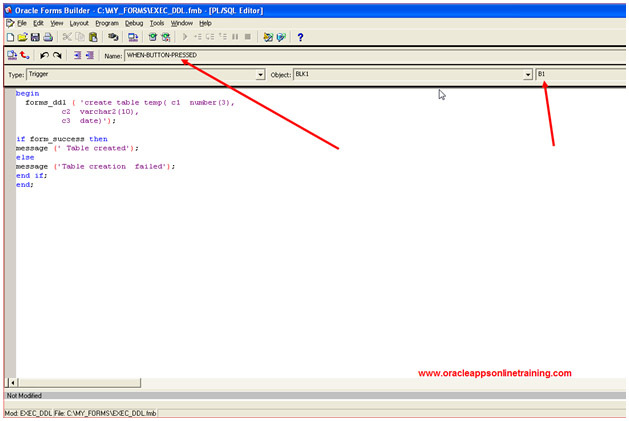 Use FORM_SUCCESS boolean function to check whether the DDL command is executed correctly or not. 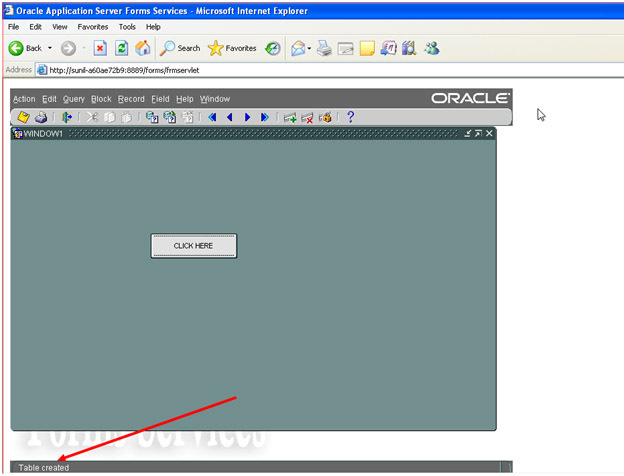 Open the form builder tool Create new data block manually. Click on CLICK HERE button, you will get the message "Table created". Also check in the Oracle database ( In SQL*Plus environment).